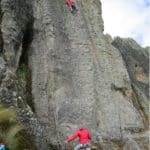 Would you like to go rock climbing in Cordillera Blanca, in Peru? Then join Octavio, an IFMGA certified guide and have fun out in the mountains! 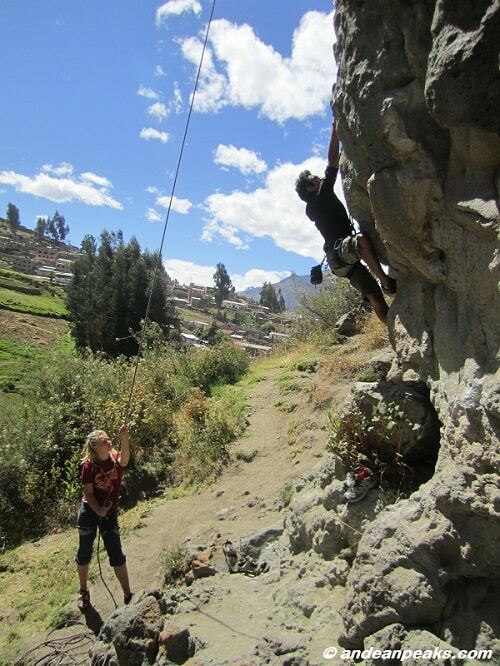 Join me and let’s go rock climbing in Cordillera Blanca, in Peru! I offer programs for all levels! We can go out to the rocky mountains in Chancos, Olives or Monterrey. Also in Machay Hatun and Shupluy! The Cordillera Blanca is the highest tropical mountain range in the world! 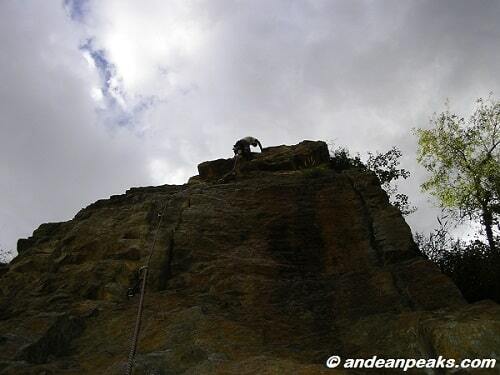 I will guide you through different levels and lots of exciting climbing routes! Most important, I can set a program according to your level and goals. We will have a great time out in the rocks! 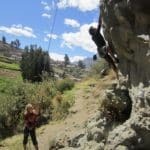 Los Olives is a 15 minutes ride from Huaraz and offers a difficulty grade that goes from 5a to 7b,. Also, you can have an amazing view of Huaraz under glacial peaks! 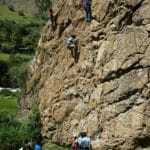 Then, Hatun Machay is a paradise from rock climbers. Its climbing difficulty goes from 5a to 8a+. It’s about 2 hours outside Huaraz. It has over 400 bolted routes! Also, beautiful sunsets, sunrises, sunsets and hiking routes. In Chancos, the difficulty is from 5a to 6b. Besides, Chancos is also popular because of its thermal baths. They are traditionally called as the Fountain of Youth. Chancos is located 30 kilometres north of the city of Huaraz. Shupluy is about an our from Hauraz. It’s a fantastic craig, with the sound of a stream and the view of a distant snowy mountain. We will find lots of great 5.10 routes with nice rock. Finally, Monterrey‘s climbing difficulty is grade 5a to 5+. 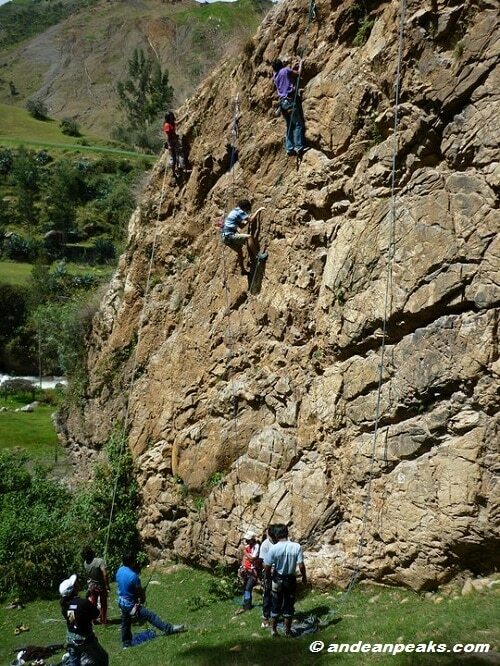 This is a small crag, 20 minutes from the center of Huaraz. So contact me if you want to go rock climbing in Cordillera Blanca! I will be happy to answer any questions about the program. And you can also join me in my Nevado Copa 4-day expedition! Check it out! Member of IVBV (Internationale Vereinigung der Bergführerverbände) IFMGA (International Federation of Mountain Guides Association) UIAGM (Union Internationale des Associations de Guide de Montagne). I was born and raised in the hamlet of Yarush in 1987, at the foot of the Cordillera Blanca. From very young age i was born my passion for the mountains. 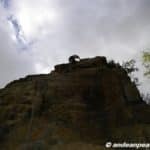 In 2003 I started as enthusiast to climbing in rock next to my brother Eloy. 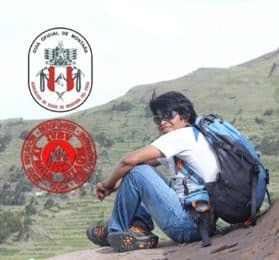 In 2009 i obtained the title as ''official guide of high mountain'', i also ranks first in his class. 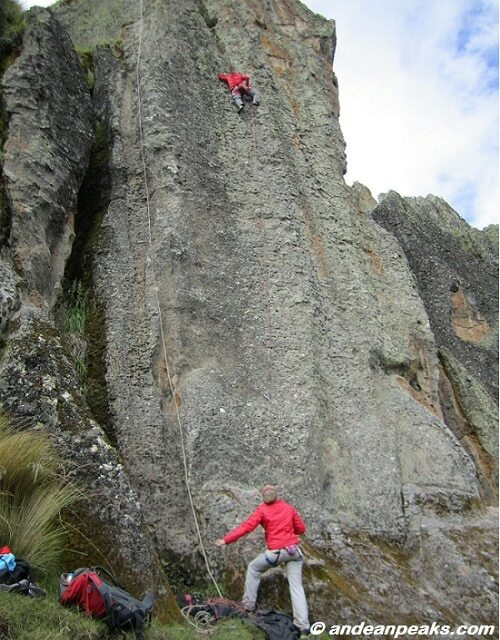 I enjoys doing sports climbing and opening new avenues in the cordillera Blanca, and in other countries. My wide experience has meant that he has climbed most of the mountains in cordillera blanca.